It looks like Iceland is opening up the new year with a bang; it has become the first country in the world to mandate that all companies must pay men and women equally, or be fined. "We have had legislation saying that pay should be equal for men and women for decades now but we still have a pay gap," Dagny Osk Aradottir Pind of the Icelandic Women's Rights Association told Al Jazeera. "We have managed to raise awareness, and we have managed to get to the point that people realize that the legislation we have had in place is not working, and we need to do something more." The new law only affects companies that employ more than 25 people. Icelandic officials hope that it will help to close the gender pay gap by 2020. 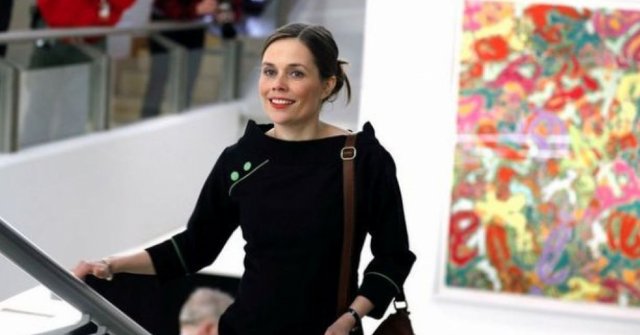 Half of Iceland's parliament is represented by women and its prime minister (Katrin Jakobsdottir pictured above) is also female. a fact that supporters of the law argue has allowed it to come into effect. The World Economic Forum's (WEF) Global Gender Gap Report ranks Iceland in the number one spot. Just 20% of the members of Congress are women, perhaps explaining the slow march to pay equality and the legislation which Icelandic politicians say is necessary to achieve it. "We must follow the example of our brothers and sisters in Iceland and demand equal pay for equal work now, regardless of gender, ethnicity, sexuality or nationality," said Senator Bernie Sanders on his Facebook profile.